Dietary guidelines are the foundation for national nutrition advice, education and policy. But dietary guidelines are increasingly under attack with claims they are outdated, influenced by food industry and are even the cause of the rapid rise in obesity since the 1980's. But how much of this, if any is true? 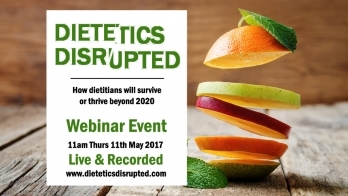 Join our panel of expert thought leaders for essential insights into how the 2013 Australian Dietary Guidelines are designed, used or abused and how we can reimagine healthy eating. Are our dietary dietary guidelines working? Are they appropriate for our nations expanding waistline? Has the food industry blurred the messages? Are general guidelines relevant in the digital age? How can dietary guidelines be more effective? What are the lessons for nutrition educators? What really helps people eat better? Hear the speakers ideas for how we can reimagine dietary guidelines, nutrition education and policy to help more people eat well. 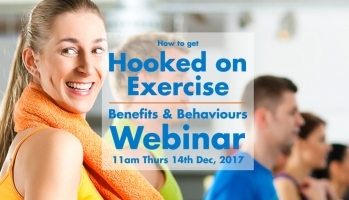 If you are a dietitian, nutritionist, fitness professional, health advocate, food marketer or policy maker, this special online event is for you. The recorded webinar package is included, in case you can’t make it live. What are the 2013 Australian Dietary Guidelines? 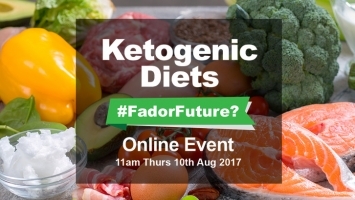 Bruce, Rosemary and Manny will answer key questions and discuss the future of dietary guidelines. Bruce is a Senior Director at The George Institute for Global Health; Professor of Medicine, UNSW Sydney; and Chair of the Australian Division of World Action on Salt and Health..
Dr Neal is a UK-trained physician who has 20 years research experience in the clinical, epidemiological, and public health fields with a focus on heart disease, stroke and diabetes. Bruce has a longstanding interest in the environmental determinants of high blood pressure and the potential for changes in the food supply to deliver health gains. His work has been characterised by its focus on collaboration, quantitation, translation and impact. He holds professorial appointments at UNSW Sydney, Imperial College London, Flinders University in South Australia, an honorary appointment at the University of Sydney and chairs the Australian Division of World Action on Salt and Health. He has published some 300 scientific papers and in 2016 was identified by Thomson Reuters as one of ‘The World’s Most Influential Scientific Minds’, an acknowledgement provided to just 3000 researchers across all disciplines, worldwide. He has particular expertise in salt reduction but also a broader knowledge of food policy issues related to sugars, fats, portion size and food labelling. 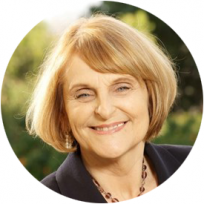 Dr Rosemary Stanton OAM is a Visiting Fellow in the School of Medical Sciences, at UNSW. She was awarded an Order of Australia for her contributions to public health through nutrition. Rosemary was also a member of the working group for the 2013 Dietary Guidelines and the Infant Feeding Guidelines. Rosemary was the first dietitian/nutritionist in Australia to work in private practice and also the first sports dietitian. She has authored many scientific papers, more than 30 books and some 3,500 articles for the popular press. Rosemary wants us all to think more about our food – where it comes from, how to grow or prepare it, how it affects our health and how our choices impinge on climate change. 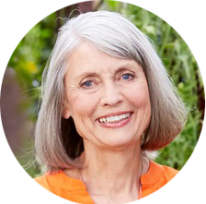 She maintains a close liaison with the Australian public and has been regarded by the media for over 50 years as a source of reliable nutrition information. Manny is a Senior Principal Research Scientist, Nutrition and Health, CSIRO Health and Biosecurity. Her research focusses on developing effective nutritional programs and strategies for lifestyle management for community uptake. She is considered a key opinion leader and trusted advisor in nutrition and health, has extensive media and public speaking experience. She has over 25 years’ experience in many fields of nutrition and health has undertaken numerous clinical dietary intervention trials in weight management, functional foods and cardiovascular health. She has also undertaken research on diet and sustainability and redefined the environmental agenda from a food and health perspective. Dr Noakes has authored over 200 peer reviewed publications which have been cited over 9000 times. Over the past 10 years her research focus has extended to understanding how to deliver effective lifestyle programs in the community through the use of information and communication technologies as well as understanding the environmental impacts of dietary patterns. 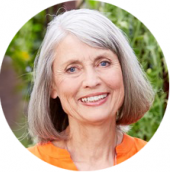 She was instrumental in the development and release of five editions of the CSIRO Total Wellbeing Diet (TWD), which was launched in 2004 and has been translated into 17 languages and sold over 1 million copies in Australia. The program has been further commercialised to an online program. Professor Noakes is former executive member of the Federal Government Food and Health Dialogue, and current member of the Heart Foundation Food and on the Nutrition Advisory Panel for Lion. She is the recipient of 3 CSIRO Medals, is an adjunct Professor with the University of South Australia, is a Distinguished Alumni of Flinders University, holds a research excellence award from the University of Adelaide and is a recipient of the Zonta Club Woman of International Achievement award. She has also been a nominee for Australian of the Year as well as being named in the top 100 most influential women in South Australia. 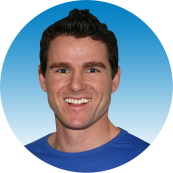 Matt is an Accredited Practising Dietitian, passionate about evidence-based nutrition advice that evokes change and delivers outcomes for clients. He is Founder of the SmartShape Centre for Weight Management, where he delivers inspiring training, resources and business support for health professionals. 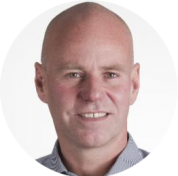 Matt has presented seminars, keynotes and workshops in eight countries and has given over 1000 media interviews. 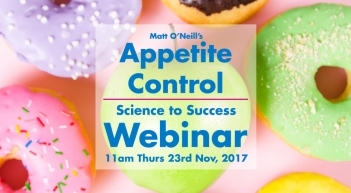 Matt has been the nutritionist for the Australian Consumers’ Association, weight loss coach for Men’s Health Magazine (Australia), sports dietitian for the Sydney City Roosters and a TV regular providing nutrition and dietary advice for over 20 years. His own weight management program, Metabolic Jumpstart has attracted 25,000 participants and over 75 official partners. "What a wonderful session! How grateful I am to have done some CPD that is relevant and actually matters. I was riveted the whole time too." "Excellent choice of speakers. Speakers tackled the topic from different angles." "Great presentations from key leaders with health data, history of guidelines and looking to the future using new technology. Congratulations." Tickets are non-refundable. If you purchase a ticket and do not attend the live event, you will be provided with the recorded webinar, slide notes, and web links within 7 days of the live event. With all SmartShape webinars you receive the event video and slides, plus all the resources below with your ticket. Grab the recorded value packages for these webinars when you buy your ticket.